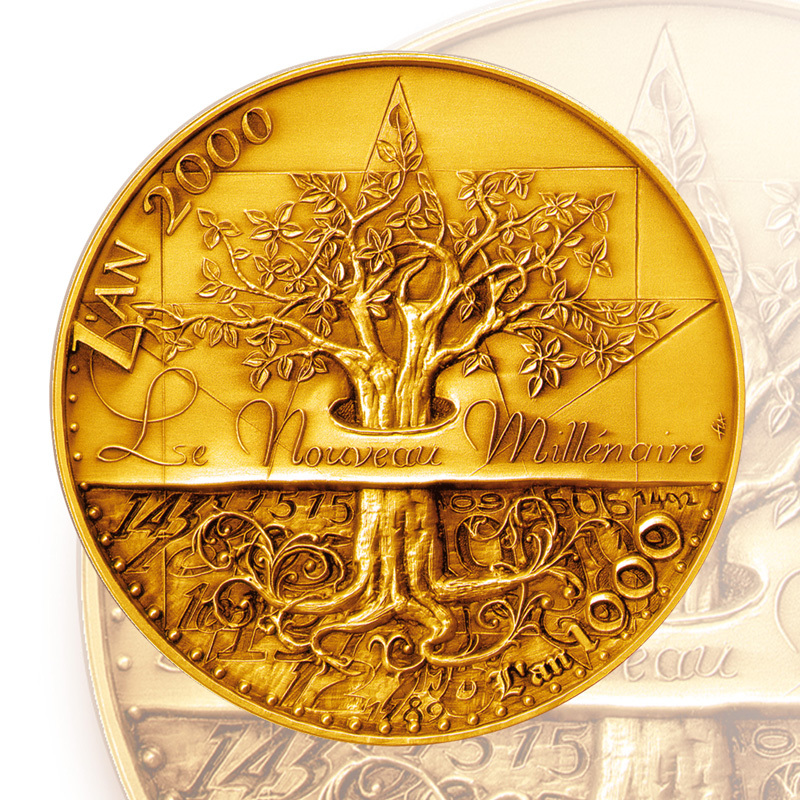 Based in Lyons where the first French medal was struck more than five centuries ago, as an engraver and medal maker, awarded Meilleur Ouvrier de France in 2000, I strive to keep my expertise and its values alive. I discovered this unusual profession more than 25 years ago when I followed my grandfather’s footsteps and enrolled in the Ecole Boulle to become a cabinet-maker like him. But, as it turned out, it was the steel-engraving workshop that fostered me. A passion was born and I started to learn this little known craft. Today, in my forties, young ‘heir’ of a vanishing know-how, I provide prestigious and forward-looking references. 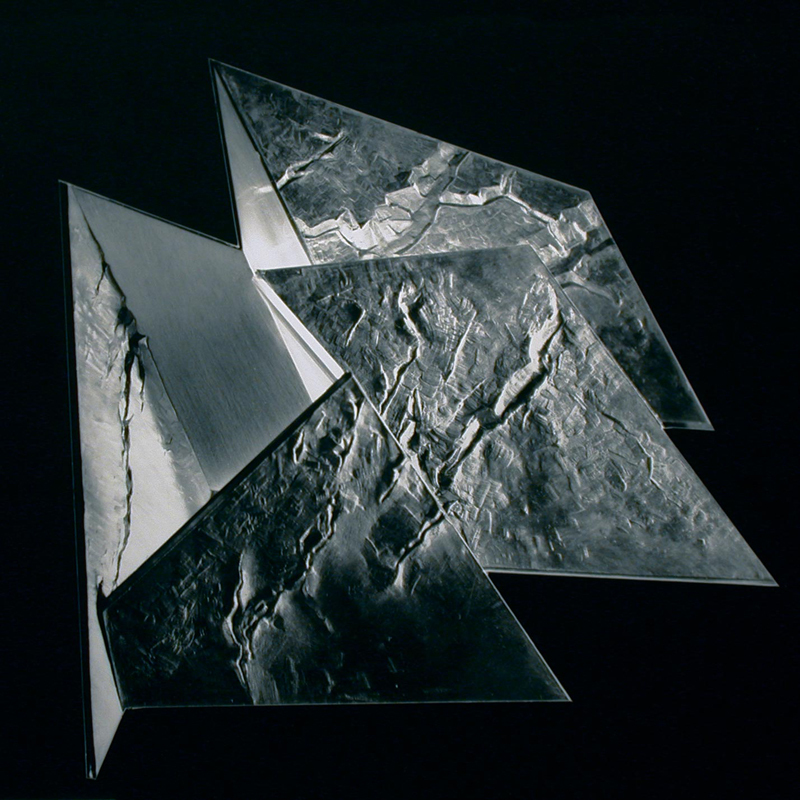 Training in the Ecole Boulle, Paris – steel engraving workshop, en modelé engraving. My grandfather told me: ‘When you grow up, you’ll go to the Ecole Boulle’. And so, when I was 15, I went along to this prestigious school. I thought I would become a cabinet-maker like he did. However, as it turned out, it was the steel engraving workshop that fostered me. I met there Pierre Mignot, my master and workshop teacher. He immediately aroused my curiosity and paved the way for my future occupation. In these 5 years of training, I was taught the basics and the tools of the trade. I still had to confront them with the realities of the working world. My diploma creation. Subject: ‘Create a piece evoking a european country’. I chose Norway because of its beautiful and strong landscapes: glaciers, fjords, ice and water. Trainee as a jewel designer at Cartier Haute Joaillerie – 13, rue de la Paix – 75001 Paris. Jewelry design department. During my training, I learned as an intern to draw jewels and achieve paintings with gouache. I want to express my gratitude to Mr Corentin Quideau, director of Cartier Haute Joaillerie; to all the jewelry design department and Cyril Conrade for their warm welcome and teaching. 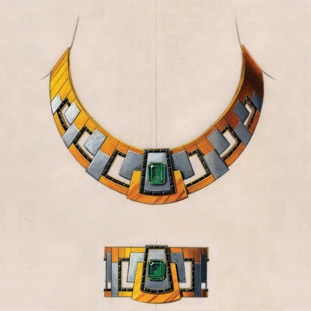 Here, a personal study build upon an emerald, for a necklace and a bracelet. At the FIA (subsidiary, of the A. Augis firm in Lyons), I worked as an engraver and I was in charge of the engraving workshop. In april 1994, I left the capital and headed for Lyons to take Mr Jean Redon’s position who was about to retire; he was 60 and I was 25. We only had two months to see each other, that was too short –but this how it goes nowadays. – the medals ‘Passage à l’an 2000’, ‘L’Assemblée Nationale’, le porte-avions ‘Charles-de-Gaulle’, etc. – temporary Euro medals for cities: ‘Saint-Pierre d’Oléron’ (awarded Best Euro in the year 1996-97, ‘the Centennial of the Basilique de Fourvière – Lyons’, etc. While at the FIA, I met Claude Gardot, an engraver and medal maker, Meilleur Ouvrier de France in 1972, whose brother was Jean Gardot, sculptor and academician. He was hired by the FIA to design and make exceptional medals; I remember the medal for the President Jacques Chirac, temporary Euro medals for cities, the Bethune medal and many others. When he would show his engravings, I was feasting my eyes on the subtlety of his work, the quality of his modeling skills, the details and the textures. He was definitely an example and a role model. Thank you, Claude. Mandatory subject of the 21st competition of ‘One of the Best Craftsmen in France’, steel engraving – period 1997-2000. Based on the drawing of Elisabeth Vigée-Lebrun, ‘A young girl’s face’, make with a punch or a die a direct steel carving of this subject for the purpose of striking a medal. Open subject of the 21st competition of ‘One of the Best Craftsmen in France’, steel engraving – period 1997-2000. Making of a medal based on one of the ‘Labours of Hercules’. It took me three years of hard work… after my day job, during my week-ends and a portion of my vacations. I have to thank Mrs Sylvie Reig, FIA CEO, for allowing me to work inside the company’s premises outside office hours. 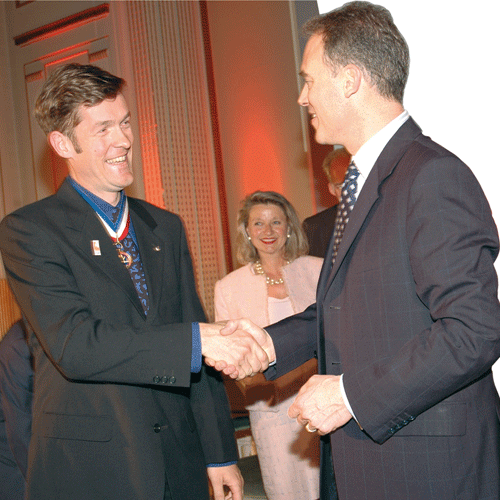 In September 2000, I handed my works over to Pierre Pignat, commissioner for the MOF du Rhône competition. I was proud to deliver my work timely and I knew I did my best… but will all of this be enough? 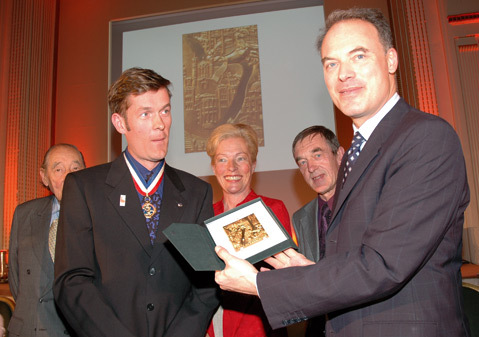 In November 2000, I was told that I was awarded the title of Meilleur Ouvrier de France by my peers. Plus, I was the one and only laureate for the en modelé engraving category. 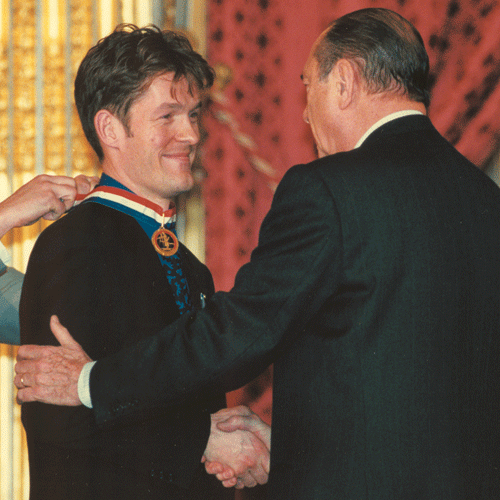 March 13rd, 2001: the seven ‘Meilleurs Ouvriers de France’ in 2000 met with the French President, Jacques Chirac, at the Palais de l’Élysée, to receive our medal from his hands. Many thanks to Mr Bernard Turlan, master engraver from La Monnaie de Paris who taught me so much; and Mr Claude Gardot, MOF, steel engraver. 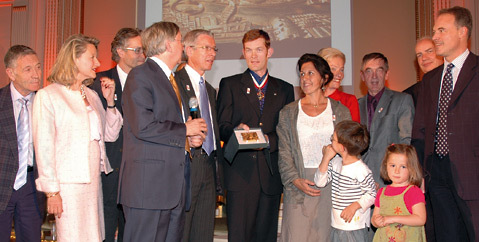 May 16th, 2006 : Minister Renaud Dutreil awards the First National Grand Prize of the SEMA* for traditional crafts –professional, period 2006– to Nicolas Salagnac, engraver and medal maker, Meilleur Ouvrier de France. *The SEMA (Société d’encouragement des métiers d’art) is now replaced by the INMA (Institut national des métiers d’art). Attendees: Pierre Chevalier, president of the SEMA; Marie-Françoise Brûlé, director of the SEMA; Etienne Vatelot, famous stringed instrument maker, former president of the SEMA; Alain Griset, president of the Chamber of Trades; Pierre Balme-Blanchon, Chamber of Trades of Isère-Grenoble, « Fine Crafts » supervisor in Rhône-Alpes; Charles Jouffre, representative upholsterer for the SEMA Rhône-Alpes; Bernard Werner, MOF, representative for Olga Saurat, president of the MOF; and my family: my parents, my wife Delphine and my children Léonard and Anouk. – and then at national level for 19 submissions from every region of France on April 6th, 2006. The submitted work was based on a three-part work of medals, suggestive of the city of Lyons. As it happens, the presented medal was: « Lyons, 2000 years of architecture, listed as a World Heritage Site by UNESCO », struck by the Editions Scriptoria. May 16th, 2006 : Minister Renaud Dutreil awarded me the First National Grand Prize of the SEMA* for traditional crafts –professional, period 2006. 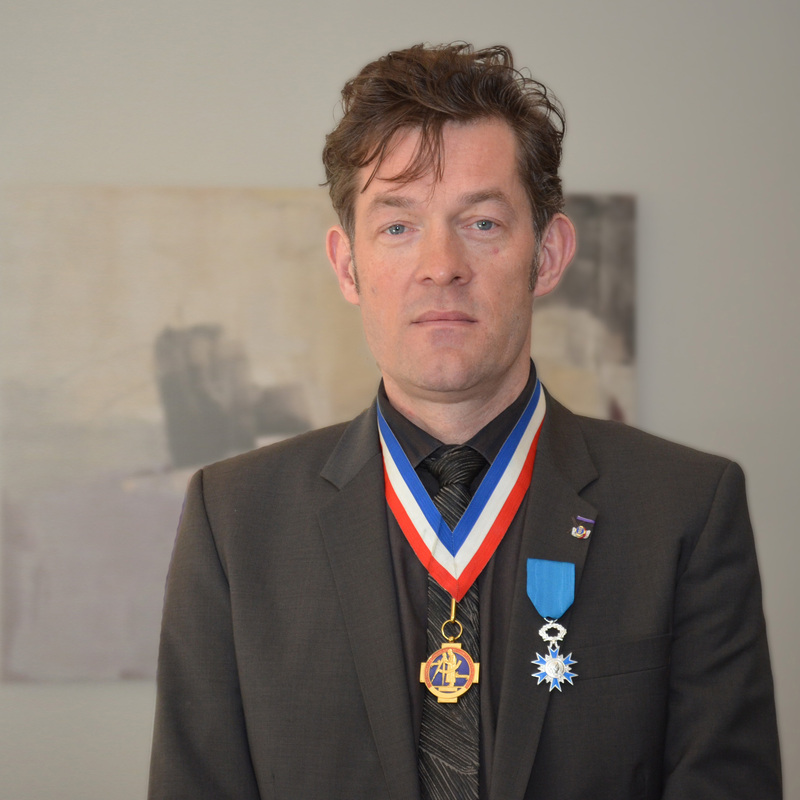 Mr Prime Minister, by the decree dated November 1st, 2010, awarded the title of « Knight of the Order of Academic Palms » to Nicolas Salagnac, for his service to the National Education. On November 25th, 2011, three Meilleurs Ouvriers de France of the Rhône region receive the Academic Palms at the Chamber of commerce and industry of the Rhône-Alpes region, at the invitation of its president Mr Jean-Paul Mauduy. The president Mauduy hands the Academic Palms to Christian Janier, MOF cheesemaker and president of the MOF du Rhône’s Office. 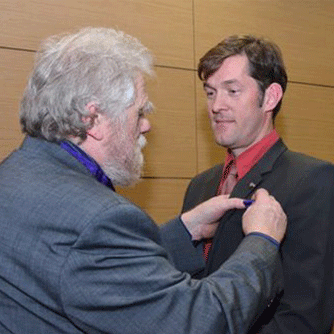 Gabriel Paillasson hands the Academic Palms to Nicolas Salagnac, MOF engraver and medal maker, communication manager of the MOF du Rhône’s Office. Pierre Pignat hands the Academic Palms to Michel Gudefin, MOF in HVAC engineering, member of the MOF du Rhône’s Office and in charge of the MAF competition. The recipients and their guests were warmly welcomed. Sylvie Razzini, secretary of the MOF du Rhône’s Office, wrote an article (in French) about this event. 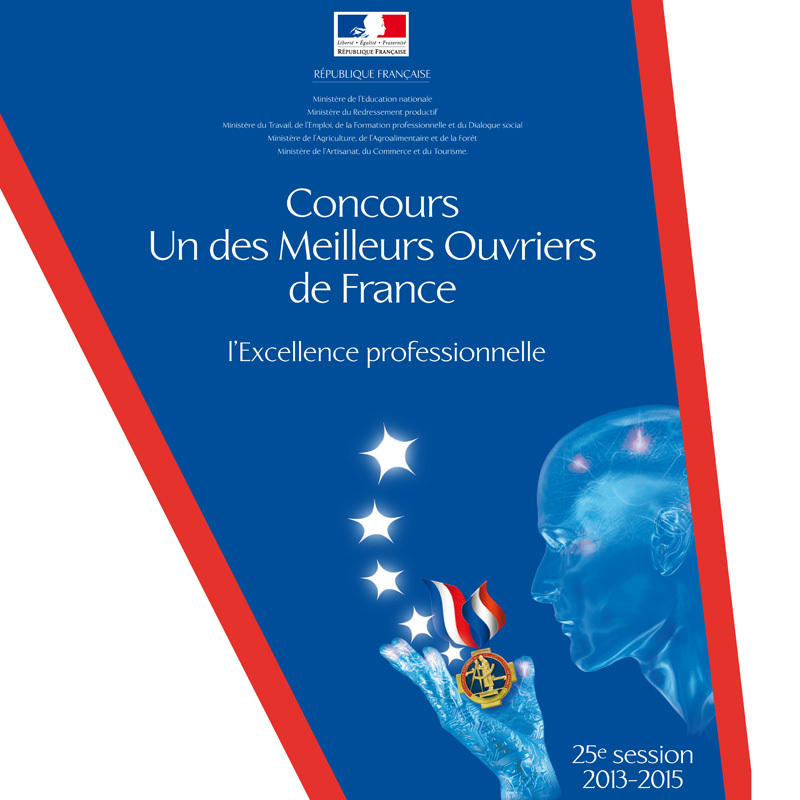 The 25th « One of the Best Craftsmen in France » competition is open since February 6th, 2013. For this new contest, Pierre Rodier, Engraver General for the Monnaie de Paris, now retired, and president of the en modelé engraving class since 1998, proposed me to the COET as his successor. The COET and the Ministry of National Education granted my application. Together with a jury of engravers and colleagues, I am commited to fulfilling this assignment: to make our fine crafts known and to spread its values. Read more about the MOF competition on the COET website. 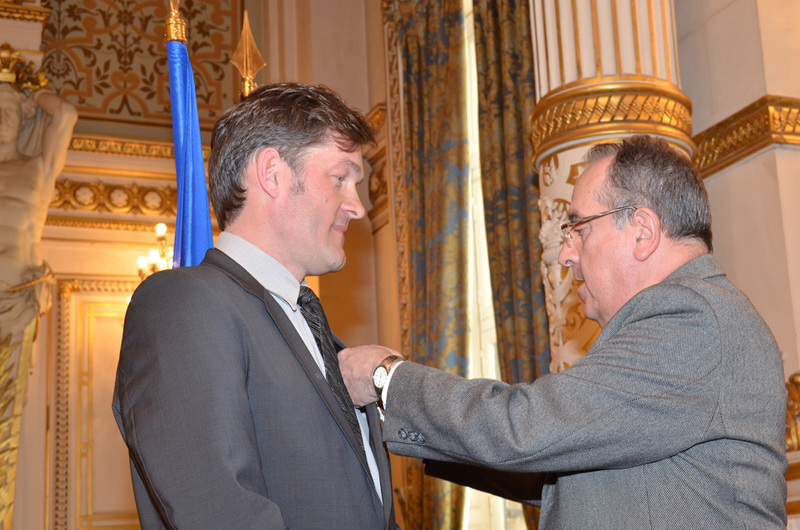 The Prefect of the Auvergne Rhône-Alpes region, Michel Delpuech, presents the medal of the National Order of Merit to Nicolas Salagnac, on March 3, 2016, 5pm at the Rhône prefecture.